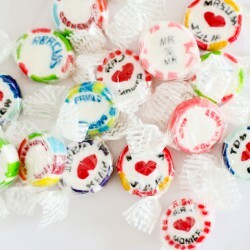 Personalised Rock Sweets There are 5 products. These are our most popular style of rock sweets in our range. 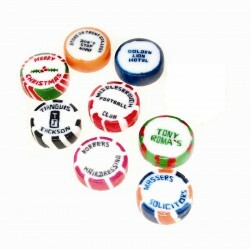 They come individually wrapped (approx size 2.5cm diameter), with your name or message running through the centre, and the outside of the rock can be fully personalised in a wide range of colours and flavours. Custom Logo Rock Sweets If you are looking for your logo or text produced through rock in unrivalled clarity look no further. 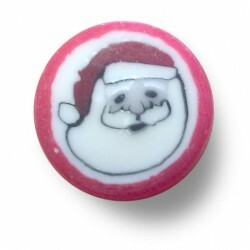 Our Christmas rock sweets make great gifts or stocking fillers, but can also be perfect to sit on your tables, reception and meeting rooms for everyone to enjoy. 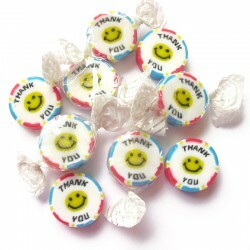 Why not use our rock sweets as a fun way to say "Thank You". They will make an unusual keepsake or an immediate tasty treat. 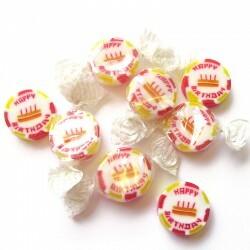 Our Birthday rock sweets are an ideal birthday gift and they will make an unusual keepsake or an immediate tasty treat at any birthday party. We except the following payment methods either ordering online or by phone.